Share your experiences with Avenger 400? Q. Can possible to Exchange RS 200 for buy SS 400 when launched.? The brand hasn't disclosed its whole feature list yet. So, we would suggest you to wait till its launch. Q. Is 400 better than Cruise 220? Q. December's here, so anyone got any idea about it's release date yet? There is no official update regarding its launch. Stay connected. Q. Does this look as shown in the pic? It looks similar to the existing version. 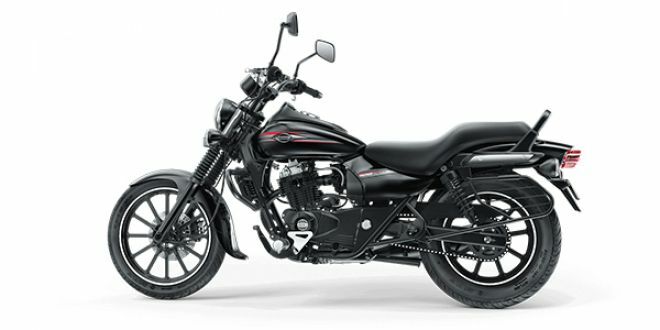 In terms of styling, expect the Bajaj Avenger 400 to look similar to the Street 220, but a bit more evolved. The speedometer, for instance, could be moved to the tank and make way for digital unit. A lot of additional features are also expected to be added to the digital display. The Avenger 400 is expected to feature the Dominar’s 373cc, single-cylinder, liquid-cooled engine with triple spark plugs and fuel injection. Currently, the engine produces 35PS and 35Nm. While the six-speed gearbox will remain the same, expect peak power and torque to be produced at a different rpm on the rev range to better suit its cruising characteristics. Since it’s a mandate from April 2018 to have ABS on bikes above 125cc, the Bajaj Avenger 400 too is expected to get this safety net; it should be the same dual channel unit seen on the Dominar. We also expect to see a beefier suspension setup to better handle the weight and enhance the ride comfort on the bigger Avenger. UN Renegade Commando: There’s no denying that the Renegade range of motorcycles have got the trademark cruiser appeal. They offer comfortable ergonomics and decent ride quality. However, they thoroughly need work on the reliability front along with the overall finish offered. Royal Enfield Thunderbird 500: The Royal Enfield Thunderbird 500 is amongst the best cruisers that one can buy. It is easy to use for your regular city commute, while also being really good on the open highways for touring. Although refinement and quality levels could be better, the Thunderbird 500 remains one of the most popular Royal Enfield machines on sale today. The Bajaj Avenger 400 will have to prove its worth in the face of competition, despite the potent engine derived from the Dominar and the well accepted styling. Add to that the vast service network and low cost of maintenance and we should have a strong entrant in the segment.